Mercedes-AMG will come to the 2019 Miami Boat Show with a speedboat the company has designed to look like the GT 4-Door Coupe. In the meantime, we have this teaser pic to go by. 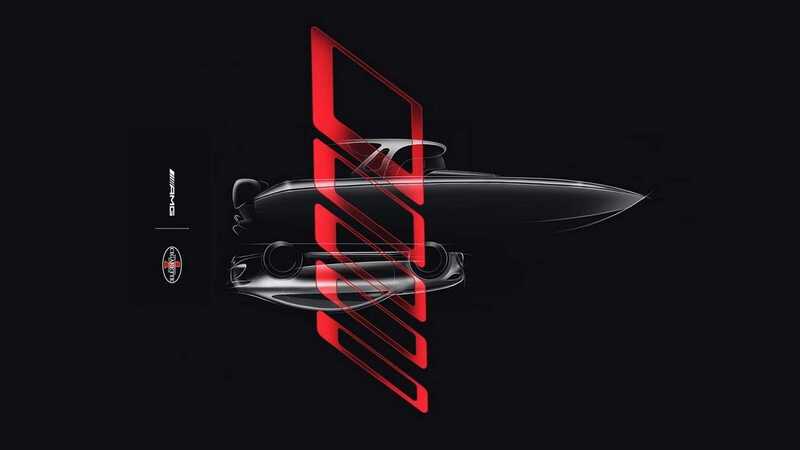 The project is a joint effort of Mercedes-AMG and U.S.-based shipyard Cigarette Racing Team. Neither company reveals any details about the new speedboat so far. All we know to this date is that Daimler AG Chief Design Officer Gorden Wagener designed it and Cigarette RT built it, likely using a mass-produced speedboat as the prototype. This isn’t the first time the two companies work together. A year ago, they introduced us to a huge 16m (50ft) long Project One motorboat stylized after the namesake hypercar. The boat had a body made of carbon fiber, GFRP and Kevlar and housed an engine manufacturer-rated at 1,350 horsepower (1,007 kW).